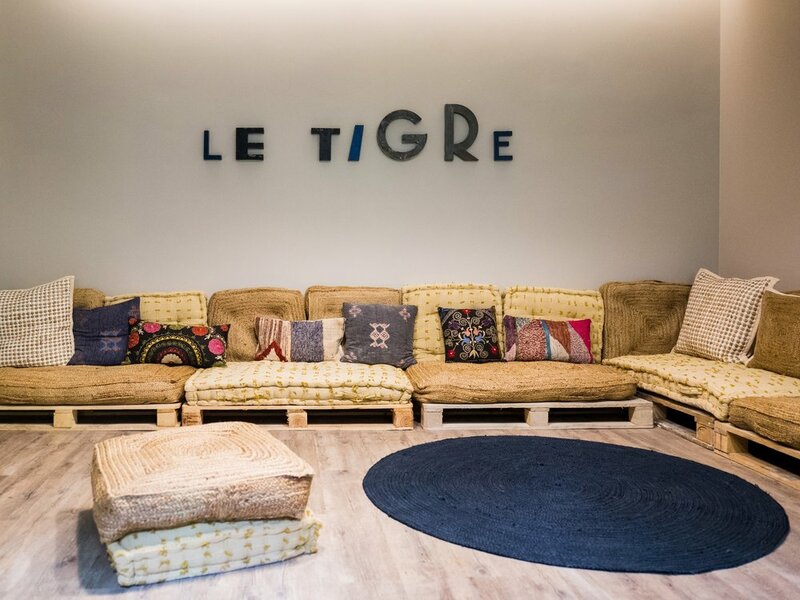 The fifth studio of Le Tigre Club, Le Tigre Marais opened it’s doors in January 2018, providing the yogi’s of Paris’ Le Marais district the perfect place to find their zen. 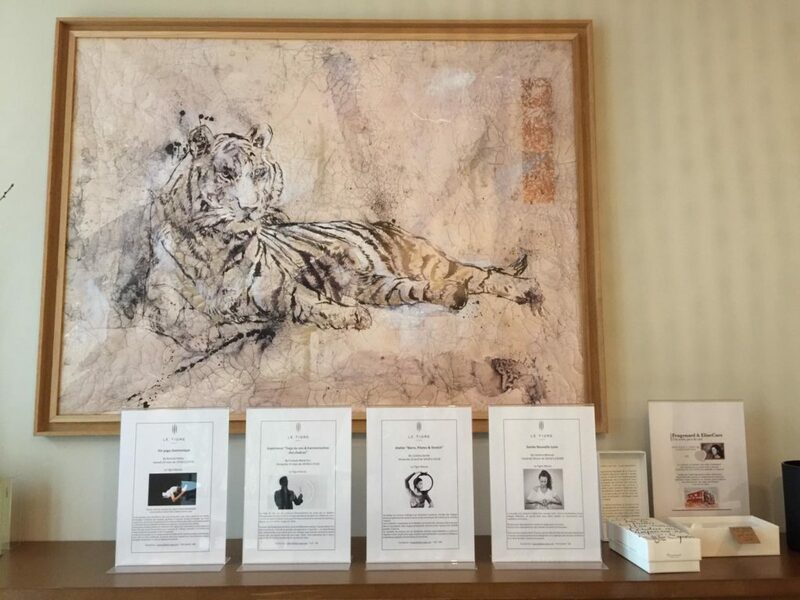 The ethos of Le Tigre is to celebrate living and sharing a healthy, soothing, happy and aesthetic way of life. 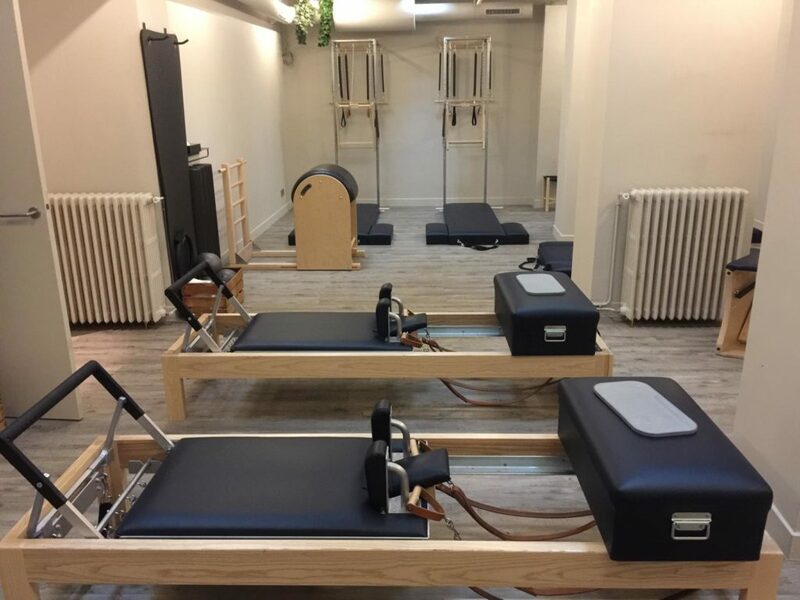 The studio offers something for everyone, whether you are a beginner to yoga or pilates, the instructors here encourage you to advance at your own pace, maintaining a connection to your mind and body. Tucked off a quaint courtyard, the studio offers a wide range of yoga disciplines and reformer Pilates. The yoga studio is a light, airy and peaceful room with an enormous glass ceiling, so as you lie down onto your mat you can look up and outwards at the Parisian sky. The studio is creative in its design with artwork throughout, including wooden sculptures, masks hanging on the walls to some beautiful representations of the Hindu Lord Ganesh. A neon ‘Namaste’ sign brings a ray of light and is a bright reminder to acknowledge and embody the meaning of the word outside of the yoga studio or class. With a large meditation lounge filled with cushions, the space is hushed with warm colours and fabrics to encourage relaxation, a place to turn inwards and focus on your breath. Our instructor, Nadia, led us through a flowing vinyasa practice set to classical music that calmed and invigorated simultaneously. The vinyasa flow provided a workout for the whole body with postures that engaged the core, legs and arms with some releasing twists, balances and inversions before heading into a relaxing Savasana. The yoga classes are guided in French, but if you have been practising vinyasa yoga for a while, you can easily follow through the Sanskrit posture names and by keeping an eye on the others in the class. The teacher is always ready to prompt and assist if needed. This was a heartfelt practice as the focus of the Le Tigre is on wellbeing and looking after yourself, so you leave the class not only with the vinyasa yoga glow but with a sense of confidence and optimism as well. 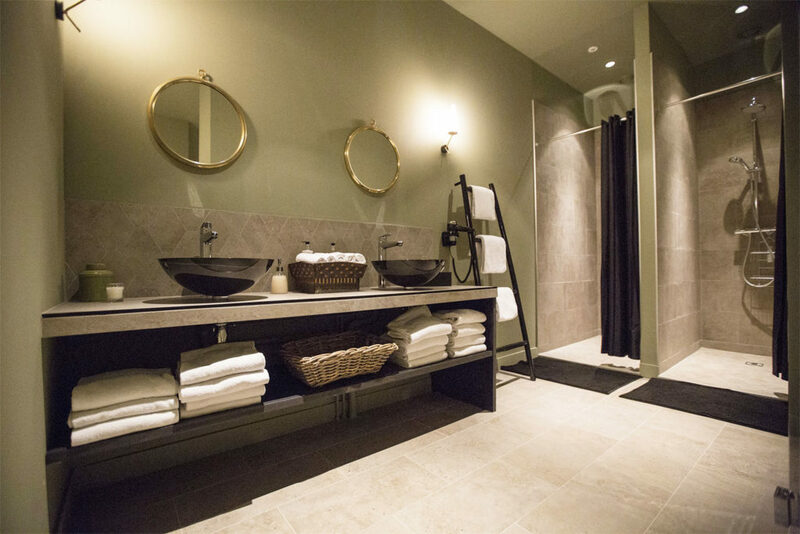 If you follow the stairs down, you find the Japanese sauna, two massage rooms and the large reformer pilates room filled with impressive pilates reformer beds and equipment. You can stock up on yoga and pilates workout wear here as the shop stocks big names such as Lulu Lemon to independent brands. There is a wide variety of books to further your knowledge of anything from yoga asanas, homoeopathy, kundalini, massage to psychology and wellbeing in general. The cafe, Wild & Moon, provides juices, salads, colourful vegan dishes and healthy hot options. Wild & Moon aims to help urban dwellers to reconnect with nature through their food by offering seasonal, local, fair trade products; slow food set to an urban beat. Le Tigre is more than ‘just’ a yoga studio to catch a class at, it is a community where you are encouraged to participate and become part of the tribe.